Bill Morneau flew to St. John's from Ottawa for a meeting with Dwight Ball on Friday afternoon to discuss Muskrat Falls issues. It lasted less than two hours. Bill Morneau and Dwight Ball spent part of the afternoon together talking about electricity rates and the financing of Muskrat Falls, but neither side wants to talk about it publicly. 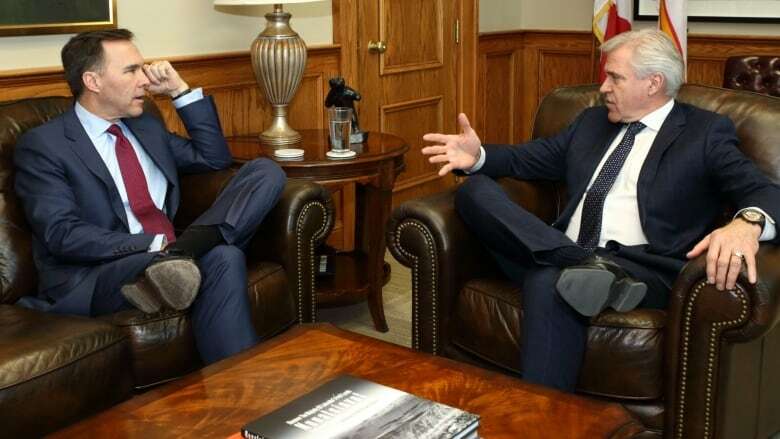 The federal finance minister and the premier of Newfoundland and Labrador made it clear there would be no media availability to share what was discussed behind closed doors inside the Confederation Building. CBC News caught up with Morneau on his way into the meeting Friday afternoon, but he had little to say about rate mitigation — one of the most pressing issues in the province. "I think some of these questions are best directed at the premier," he said. "My goal today is to work together with him in a collaborative fashion so we can address some of the key challenges that people of Newfoundland and Labrador are facing." 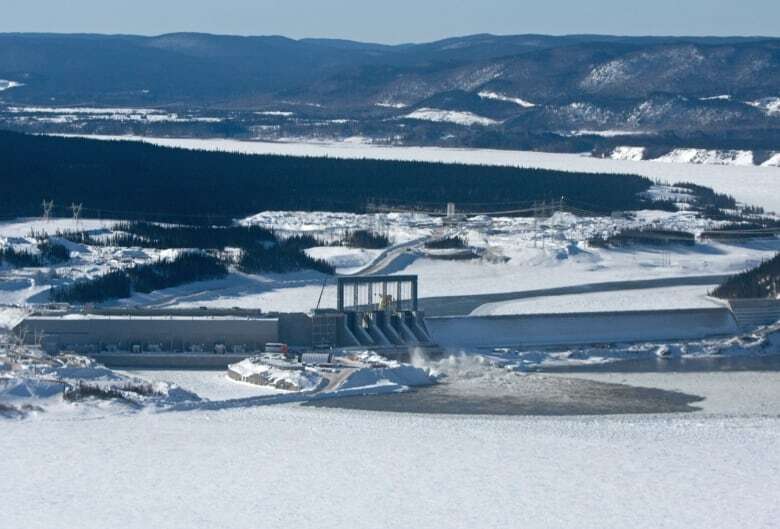 These are the same questions that have been directed at the premier for years, but there is still no clear plan on how the province will ensure electricity ratepayers and taxpayers don't bear the burden of soaring rates when the Muskrat Falls hydroelectric megaproject begins producing power in 2021. It's estimated electricity rates will have to double to cover the costs. When asked how long the meeting would last, Morneau said, "You know, we'll see when we see." In a tweet just after 4:30 p.m. Friday, Ball wrote, "Rate mitigation is a top priority for #GovNL, and Bill Morneau's presence in the province today shows this is a priority for him and the federal government. We recognize the significance of these discussions for residents and I look forward to advancing them in the weeks to come." The two governments are fresh off renewing the Atlantic Accord. While announcing that deal on Monday, St. John's South-Mount Pearl MP and Indigenous Services Minister Seamus O'Regan said Ottawa will help the province with rate mitigation. At this point, the implications of Muskrat Falls are well known and the problems associated with the project are becoming clearer every day at a public inquiry. The price tag of the project ballooned from $7.2 billion to $12.7 billion (including financing), with a promise to repay federal loans through the ratepayers of the province after the project begins producing electricity. During a byelection in St. John's last year, Ball made a bold promise — that ratepayers will not be on the hook for the cost of Muskrat Falls. His government engaged the independent Public Utilities Board to look at how that could be done. The review is still ongoing, but preliminary reports suggested electricity conservation, increasing electric sales and laying off Nalcor workers are some possible measures. Opposition leader Ches Crosbie has come up with his own plan — though it was publicly panned by one energy expert — and estimates it will cost the province $575 million a year to to keep power rates from spiking.